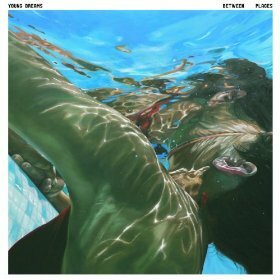 Norwegian “symphonic pop” indie band Young Dreams are probably as retro as it gets; they cite Mozart and other classical composers as influences for their dreamy, string-laden pop. And they do it un-ironically. Their songs have a transparent, sleepy sheen to them, a bold move in today’s climate of noise-drenched, grunge-inspired indie rock. There are also a few songs on the album which clock in at under four minutes long. Still, just because it’s innovative and sincere, doesn’t mean it’s for everybody, as Young Dreams are definitely an acquired taste. This album almost plays like a soundtrack to a David Lynch film, with its strange ability to warp time, sounding first like weird late 70’s synth pop and, a few bars later, like it borrowed vocal arrangements from girl groups of the 60’s or maybe the Beach Boys. It almost becomes full of itself in its relentless sense of grandeur with dramatic string swells, crescendos, and overzealous kick drums. With all the pizzazz and formulaic vocal harmonies, it sometimes comes dangerously close to lacking cohesion and variety at the same time. “Young Dreams,” at the end of the album, lends a full-circle quality to the album, while “The Girl That Taught Me To Drink And Fight” sits in the middle of the album as an intermission of sorts, an almost-tedious ten minutes and fifty-five seconds long. The opening track, “Footprints,” is a light-hearted and charming single, with a nod to synthpop in the first few bars. “When Kisses Are Salty” has a sweet, old-fashioned love song quality to it. All in all, this album truly does make for good background music…but that’s not necessarily a bad thing.